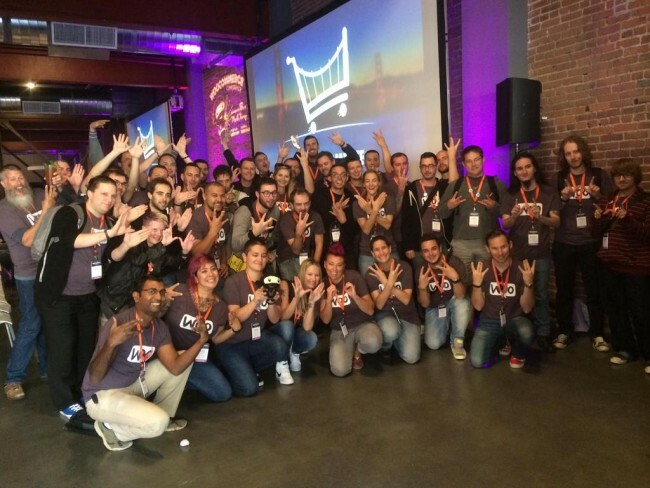 Written by Nicole Kohler on October 2, 2015 Blog, Product news, WooCommerce. It seems like yesterday that we reached 7 million downloads of WooCommerce. Actually, it was a few short months ago that we hit that big milestone. “How long would it take us to hit 10 million?” we all wondered. Well, now we know: almost exactly four years. That milestone arrived this week, much sooner than expected. 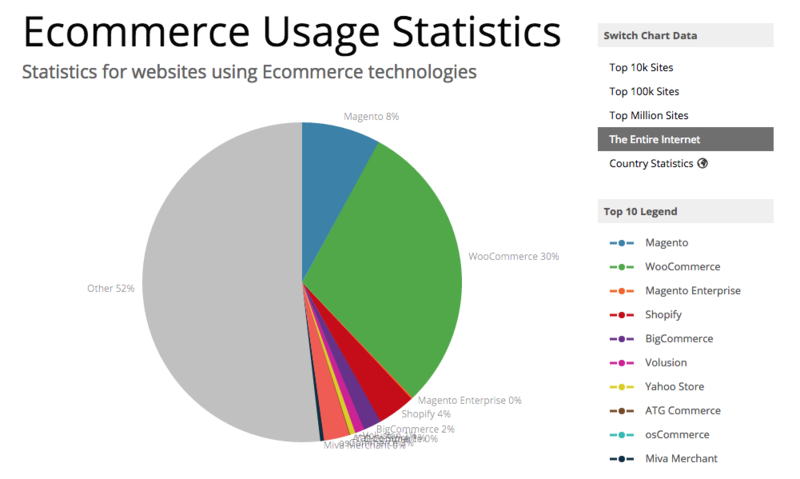 And with it came another: WooCommerce is powering 30% of all online stores. This represents a hell of a lot to us. Countless lines of code, including many community contributions, and much hard work from our core developers constantly improving the WordPress eCommerce experience. Tens of thousands of support tickets from all sorts of users with all sorts of queries, helped by our superbly knowledgeable Ninja squads. And mountains of data and interactions ensuring our growth team get WooCommerce in front of the right people, providing all the tools and content for them to sell all the things. Looking back at our milestones on the blog, together with all WooCommerce stats, it signifies fast and colossal growth. A trajectory we plan to continue. 30% of online stores are now powered by WooCommerce, earning a big thumbs-up from Hiro. Let’s take a closer look at our rapid growth, plus a peek at what’s next for all things Woo. WooCommerce version 1.0 was officially launched on September 27, 2011. So it’s taken us almost exactly four years to reach the 10 million download milestone. The rate at which WooCommerce is being downloaded is picking up, though. It took more than a year and a half to reach our first milestone of a million downloads. But the gap between 7 million and 10 million was only six months. At this rate, we can likely expect to accumulate another 10 million downloads in about a year… maybe less! While we’re on the subject, our friends at SkyVerge recently put together an epic recap of WooCommerce’s first four years — well worth a read to see how far the plugin has come. Of course, there’s another milestone to consider: WooCommerce now powers 30% of all eCommerce websites, according to BuiltWith. WooCommerce now powers 30% — perhaps more — of all online stores. We’re incredibly proud of not only what this means for us, but also what it means for business owners who’ve been able to open or improve their online stores with WooCommerce. In four years time, we’ve given store owners a choice they can count on, built on WordPress and supported by our Ninjas. We’re pleased to see WooCommerce has become the favored platform of choice for eCommerce. For the most part, it’s business as usual. We’ll be releasing new WooCommerce extensions and a few more Storefront child themes, and prioritizing support for those of you who need it. In fact, our WooCommerce support team just had a meetup in Montreal, Canada to bond, learn and focus on knocking out tickets. Out of it came a highly entertaining video of their adventures, which we’d love for you to watch if you’ve got the time. We have some really exciting things in the pipeline, too, like a revamp of our Affiliated Woo Workers program and updates to existing extensions like WooCommerce Subscriptions. We’re not slowing down — if anything, we’re picking up speed. Our Chief Business Development Officer, Joel, will be here on the blog in a few days talking a bit more about the role our community has played in growth, and where we hope to go from here. Check back soon to see what he has to say and continue the celebration. Finally, we know we wouldn’t be where we are today without any of you — whether you’re a developer, a store owner, a contributor, or someone who cheers us on from the sidelines. A hearty “Thank you!” to you for your support, contributions, ideas and the motivation you give us to do what we do. Thanks again for helping us make WooCommerce what it is today. We’re looking forward to the next big milestone, whenever that may be. Place your bets now on how long it will take us to reach 20 million downloads! Great figures, 10M downloads in just 4 years is a big achievement. CONGRATS…. 10 Million Downloads are a lot in just 4 Years.